Enter Our New Year’s Giveaway and Win Great Dance Prizes! We are excited to start a new year with you full of dance, inspiration, opportunities, lifelong friendships and much, much more! We are thankful for all your support throughout 2016 and to celebrate the New Year we decided to launch our best giveaway to date with fantastic prizes from Bloch, Broadway Dance Center, Flexistretcher, Jordan Matter Photography, Tezoro Productions and World Dance Movement. LIKE – SHARE – COMMENT: only those of you that do all 3 will be entered in the giveaway. 10 winners will receive a Bloch cosmetic goody bag. The bags include: I love Bloch badge, Bloch pencil and Bloch stickers. BLOCH. Where dance meets life. Across Hip Hop, Ballet, Jazz, Salsa, Ballroom, Tap Chorus and Latin, our range of dancewear and dance shoes allow for individual expression and movement. Bloch’s philosophy of listening to dancers is still as strong today as it was when Jacob Bloch made his first pair of Ballet Pointe Shoes in 1932. Jacob arrived from Europe in 1931 at the height of the Great Depression and began making ballet pointe shoes by hand in the workshop where he lived. Jacob loved watching ballet and visited many dance studios. At one such studio, he noticed a young dancer who was having trouble staying on pointe. Jacob promised he would make her a better pair of shoes. And so he did. 1 winner will receive a 5-Class Card to Broadway Dance Center in NYC. Broadway Dance Center is a drop-in dance studio, which means you can stop by at any time and take classes from our daily schedule. We offer over 350 classes weekly, taught by some of the world’s most renowned teachers and choreographers. Their continued dedication to the international dance community, state-of-the-art studios, and their location in the heart of the New York City Theater District make them the ultimate destination for dancers around the globe. 1 winner will receive a Flexistretcher bag with Flexistretcher and FLX Ball. Designed by the dancer for the dancer, Flexistretcher is an innovative brand that provides training tools, methods and apparel. Our premier product, the Flexistretcher, is the leading flexibility and strength training tool used by dancers globally. Harnessing the power of elastic resistance the Flexistretcher safely improves flexibility, while simultaneously strengthening the muscles as they stretch. Our new luxe apparel collection FLXwear brings the ballerina aesthetic to the studio or street. Jordan Matter, a Manhattan portrait photographer, is the author of the New York Times bestseller, Dancers Among Us, a collection of photographs of dancers in everyday situations around the world. He and his work have been featured on television, in print, online, and in exhibitions throughout the world, including Buzzfeed, ABC World News Tonight, Today, The Tyra Banks Show, the BBC, The New York Times, The Huffington Post, #1 on Reddit, Daily Mail U.K., O, The Oprah Magazine, NPR, Lincoln Center, and the Savina Museum of Contemporary Art in Seoul, Korea. Matter lives in New York with his wife, two children, dog and cat. Founded by Michèle Assaf, Internationally-recognized Producer/Director – Choreographer, Tezoro Productions is an international dance production company committed to educating and serving dancers around the globe. Tezoro’s portfolio of brands includes Tezoro LIVE – instructional dance DVDs and World Dance Movement – the International Workshop. With the most comprehensive portfolio of instructional dance content in the business, many shot at Broadway Dance Center, Tezoro LIVE features the industry’s top choreographers via DVDs, subscription based on-demand classes and school classrooms. World Dance Movement – The International Workshop & Competition – builds connections between dance and diverse cultures that inspire and transform dancers around the world. Our focus is to present dancers with an opportunity where they receive one-on-one training and attention in a noncompetitive atmosphere. The curriculum challenges dancers of all levels through a comprehensive study-vacation model. Non vediamo l’ora di iniziare un nuovo anno con tutti voi pieno di danza, ispirazione, opportunità, amicizie e molto, molto altro! Vi siamo gradi del sostegno che ci avete dato nel 2016 e per festeggiare il nuovo anno abbiamo deciso di lanciare un giveaway straordinario con premi da Bloch, Broadway Dance Center, Flexistretcher, Jordan Matter Photography, Tezoro Productions e World Dance Movement. METTI “MI PIACE” – CONDIVIDI – COMMENTA: solo chi farà tutte e tre le cose potrà partecipare al giveaway. 10 vincitori riceveranno una pochette Bloch. Le pochette includono: una spilla, matita e adesivi BLoch. 1 vincitore riceverà una card di 5 lezioni al Broadway Dance Center. 1 vincitore riceverà una borsa con Flexistretcher e FLX Ball. World Dance Movement – The International Workshop & Competition – crea un legame tra la danza e culture diverse che ispirano e trasformano ballerini di tutto il mondo. Il nostro obiettivo è fornire l’opportunità di ricevere un insegnamento ed un’attenzione individuali in un’atmosfera non competitiva. Il curriculum mette alla prova ballerini di ogni livello attraverso un modello di vacanza-studio completo. Graphic Design Internship Opening at Tezoro Productions / World Dance Movement. Tezoro Productions / World Dance Movement is seeking a graphic design intern to assist in the development of our promotional campaigns. Duration: November 2015 – January 2016. Opportunity to extend. Hours: 10 to 20 hours per week. Typically 2 to 3 days per week. Schedule negotiable. Location: Remote work. You can be anywhere in the world as long as you have an internet connection and use Skype to communicate with us during work hours. About Tezoro Productions: Founded by Michèle Assaf, Internationally-recognized Producer/Director – Choreographer, Tezoro Productions is an international dance production company committed to educating and serving dancers around the globe. Tezoro’s portfolio of brands includes Tezoro LIVE – instructional dance DVDs and World Dance Movement – the International Workshop. With the most comprehensive portfolio of instructional dance content in the business, many shot at Broadway Dance Center, Tezoro LIVE features the industry’s top choreographers via DVDs, subscription based on-demand classes via SDW Online and school classrooms. World Dance Movement – the acclaimed international dance workshop is a study-vacation event hosted across several countries that introduces dancers and educators from all continents to an international faculty of unparalleled talent. To Apply: Submit resume to Daniela Iorli daniela@tezoroproductions.com. ▪Design clear engaging graphic communications for print and web. This will include direct mail pieces, branded promotional items, web site and social media graphics, posters, flyers, and other marketing materials as needed. ▪Work closely with the team to translate their messaging concepts into marketing materials. ▪Should be proficient in English – oral, and written. ▪Having a computer and access to graphic design and layout software. ▪HTML and CSS preferred but not required. Jackrabbit Dance: A Useful Tool For Dance Studio Owners. Jackrabbit Dance is a Web-based dance studio software featuring online registration, billing, recital & costume management. Since several of our followers are dance studio owners, we thought it could be useful to provide you with some information about a tool that is conceived to make your dance studio management an easier task. If you’re a dance student you can always share this with your teacher to help them run their studio smoothly and efficiently. We had a few questions about Jackrabbit. During one their conferences, they had 3 of their clients answer them to share their first-hand experience with us. Enjoy and share your opinion by leaving a comment below! Tezoro: How is Jackrabbit Dance different than other web-based dance studio software? Jackrabbit users: One client had purchased pc-based dance management software (Dance Manager) previously and didn’t even use it because it was so un-engaging and difficult to understand. The web-based platform Jackabbit offers is awesome for each client we talked to. And Jackrabbit offers so many features that you can do everything you need to do with it. Even those who aren’ computer savvy find it easy to use. It is great that Studio Autopay integrates with Jackrabbit and can be updated by parents through the portal. It is also a great benefit that Jackrabbit’s integration with Quick Books is easy. Unlike other programs, Jackrabbit is something that is so easy even a child could use it. This program actually allows owners/managers to offload work to employees without feeling like it will not be done correctly. Jackrabbit is also more client-friendly for the studio. Billing is better in Jackrabbit than in the pc-based software previously mentioned. The level of customer service it provides sets Jackrabbit’s software apart. Online registration eliminates ANY process that might require a line in the dance studio. Jackrabbit provides parents registering online an immediate indication of class availability so they can make better, quicker decisions. The studio can keep students from registering in the wrong classes with Jackrabbit registration capabilities. Jackrabbit is self-serve for the studio client. Parents enter info during online registration and through portal so they are responsible for its accuracy. Because of Jackrabbit, studio data entry time is cut WAY down. Jackrabbit gives clients a robust system that is more managed and protected than any pc-based system individual studios own. The performance of Jackrabbit’s system surpasses that of other web-based dance management systems. Jackrabbit updates and enhances its features and framework more often than its competitors in any of the class-based system categories. Tezoro: What are the benefits of using Jackrabbit Dance? Studio can be completely paperless. Jackrabbit gives clients a level of confidence in their system that they have not been able to enjoy with other systems. There is no worry about whether the system will go down or whether their data is accurate and safe. Jackrabbit totally takes the worry of systems and data away and enables owners and managers to do everything they need to be able to do to run and grow their studios. Tezoro: What are the most common mistakes made in managing a dance studio? How has technology changed the way dance studios are run and marketed? Owners/mangers can be more creative and give back to students instead of chasing bills and registrations because processes like tuition collection happens at the touch of a button. Everything can now be electronic – even all of the studio music is on ipods. Jackrabbit unleashes not only managers and owners, but all of those working in the studio, from their desks and minimizes the time they need to spend with their faces in their computer screen. It is flexible – allowing iPads to be used for attendance and skills tracking. And mobile – allowing work to be done from anywhere there is Internet connectivity within any part of the system in real time. Owners can check key numbers even if they are away at a conference – or on vacation – and address any concern immediately (or prevent a blip from turning into a major issue). Our New LATIN DANCE SERIES WITH LUIS SALGADO Will Warm Up Your Body And Your Soul! Professional dance reality shows like Dancing With the Stars are inspiring dancers but also housewives and couples around the world to learn Latin dance as a hobby, exercise program or fun activity to do with other people. Needless to say, love and appreciation for Latin dance has become mainstream over the last few years. Tezoro Productions, has caught on to this consumer trend and released a five-part DVD and online video Latin Dance series with esteemed talented Film and Broadway star, Luis Salgado. These DVDs are perfect for dancers who need to learn the basics of Latin dances as well as for non-dancers who’d like to have fun with their partner and/or friends. Our Latin Dance DVDs with Luis Salgado are also great to entertain children – as well as adults 🙂 during birthday parties and other celebrations! We recently had the pleasure to interview Luis. Check out what he had to say! Tezoro: What’s the advice you would give to someone approaching Latin dances for the first time? Luis: For me, the first thing you need to know about Latin dance is how it connects with our hearts and our souls. The rhythms are all grounded, rooted, so you must connect with the floor and open up in your chest. It’s a great way to build basic musical knowledge, the rhythms we teach in our collection evolve from the clear beats “on one” to the trickier “on two” beats and if you keep smiling while you approach the steps everything will start to make sense. By the time you work on a lyrical or harder jazz combination the Latin rhythms have given you the body awareness and confidence you need. Tezoro: What’s your favorite Latin dance and why? Luis: My favorite Latin dance is good flavored Salsa that provides many sensations, a salsa with a good “Clave” that all of the sudden jumps into a more funky feeling filled with Plena beats. One group I love is DLG because they often fuse their Salsa rhythms in the way that I love. Tezoro: How did you start and develop your career? In your opinion what’s the main thing that allowed you to get where you are now? Luis: Honestly the very first thing I learned was folklore like Plena, Bomba, Seis. These rhythms from Puerto Rico have made me an artist because they gave me the basics and access to a world of possibilities within the arts. That is why I am so passionate about using and sharing them as a basis for movement. Knowing where you come from and celebrating it is a big key to the success one can achieve. “KNOW THYSELF” says the scripture and I am blessed to know who I am through my dance and movement. Tezoro: Can you tell us about your Non-Profit organization R.Evolución Latina? Luis: R.Evolución Latina is an extension of who I am and what I believe, it’s a way of saying THANK YOU to my culture while helping others find themselves. We empower the Artistic Community to then inspire growth within our Latino community. It is a constant celebration of being who we are and using art as a way to find individual and collective growth. My new dream in collaboration with Tezoro Productions is being able to share our DVDs with kids that don’t always have access to dance or the Arts, so I am trying to find ways to bring this DVD to the schools and programs that need extra support to help kids stay involved in the Arts and in turn find confidence in themselves. I know the impact of the Arts and dance through first hand experience and R.Evolución Latina helps me pay it forward and serve my community with what I love the most, ART! Get one or more TEZORO’S LATIN DANCE DVDS and SAVE $5 on each. REGULAR PRICE $39.95 –> DISCOUNTED PRICE $34.95. Save even more when buying THE COMPLETE LATIN DANCE DVD SERIES. REGULAR PRICE $199.75 –> DISCOUNTED PRICE $169.75 + a FREE ACTIVE-ISOLATED FLEXIBILITY DVD With Michèle Assaf (RETAIL VALUE: $49.95). You can also access Tezoro’s Latin Dance Series through on-demand, online video as low as $15.95 (streaming or download). The wide skill range of Latin dance exercises are tailored to meet the needs of trained dancers, dance teachers, moms and even kids! Professional dancers can use the Latin Dance Series to expand their repertoire, couples can learn Latin dance together to spice up “date night”, or families can exercise with a Latin flare. The Tezoro Latin Dance Series is really meant for everyone! All Tezoro DVDs and on-demand videos are available at www.liveatbroadwaydancecenter.com. Whether you prefer traditional DVDs or the flexibility of new on-demand options, you will find the perfect dance instruction and exercise for you and your family at Tezoro Productions. 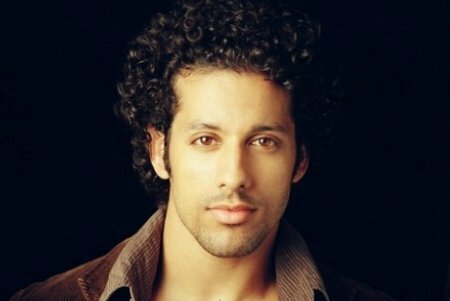 Luis played “Jose” and served as Latin Assistant Choreographer of the Broadway Musical “In The Heights – BEST MUSICAL 2008 at the Tony Awards. He is currently performing on Broadway as “Malik” in Women on the Verge of a Nervous Breakdown.” Other shows include The Mambo Kings, Fame on 42nd Street and Aida. Film Credits include: Step Up 2 The Streets (Alejandro). Dirty Dancing 2 (Diego Luna’s Dance Double), Enchanted, Across the Universe, American Gangster and The Great Observer. Luis has assisted choreographer Maria Torres in the film Enchanted and Jamal Sims in Step Up 2 the Streets. Luis is the director of R.Evolucion Latina – DARE TO GO BEYOND!, an artistic movement that celebrates the lives, careers, triumphs and existence of all Latino artists in and out of the New York Performing Art Community. Luis has recently choreographed Roberto Clemente Story, a new musical written and directed by Luis Caballero. The musical opened on November 11th in the new TEATRO SEA in New York City (107, Suffolk Street, Manhattan) and it will run until December 4th. The show presents the story of legendary pelotero, first PR and Latin American who entered the Hall of Fame of Baseball and scored 3,000 hits. He died December 31st 1972, in a tragic airplane crash in a trip to Nicaragua with food and medicines. This second annual conference has been designed to bring together physicians, therapists, and dancers to discuss the care, treatment, and prevention of dance related injuries. * Active-Isolated Flexibility Rope – FREE! Trick or Treat? Halloween Giveaway! Halloween is right around the corner and so we decided to celebrate it by organizing a special GIVEAWAY for our great followers. Starting today until Monday, Oct. 31st you’ll have the chance to win a $25 GIFT CARD to spend on StarsDancewear.net! Stars Dancewear was created out of need for a fashion savvy style of clothing for the Dancewear industries. It all started by a conversation between two sisters, Stars Dancewear founder, a clothing designer, and a professional choreographer for figure skating. From 5 simple styles, inspired by one sister’s suggestion that her industry needed more to choose from, Stars Dancewear now consists of 50+ styles in 10 – 13 fabrications. The Stars Design Team makes an annual trip to Europe to ensure that Stars designs keep up to date on current trends in fashion so they can cater to the needs of contemporary dancers all over the world. You just need to follow us on Twitter (@TeozoroLIVE) AND/OR be subscribed to this blog! Blog: Enter your email in the right sidebar where it says “DON’T MISS ANY UPDATE!” and click on “Sign Me Up!”. You’ll receive an email to confirm your subscription. After doing that you’ll be all set. Don’t worry your email is safe with us, we won’t share it with anyone! If you already follow us on Twitter or you are already subscribed to this blog, you’ll be automatically entered in this giveaway. DON’T MISS THE CHANCE TO WIN THIS $25 GIFT CARD. Stars Dancewear has a big variety of dancewear for any age and dance style! Stars Dancewear is also on Facebook –> “Like” them to stay connected! GOOD LUCK EVERYONE and HAPPY HALLOWEEN!!!! Tags: @TezoroLIVE, Dancewear, gift card, Giveaway, Halloween, Halloween Giveaway, Stars Dancewear, Tezoro Productions, Trick or Treat? “The Care and Feeding of a Dancer” is a perfect guide to a successful and healthy future in the competitive world of dance. It provides you with all theinformation you need to take care of your body and the ones of your dance students! A HEALTHY BODY IS THE FIRST AND MOST IMPORTANT ASSET FOR EVERY DANCER! Toni is an exercise physiologist, author, and (most importantly) mother of a dancer, presents the latest research on free radical damage and oxidative stress in dancers and athletes. Develop your free radical defense system by eating foods with the right nutrients. Learn real and simple solutions to improve your family’s nutrition. Prevent disease, enhance your immune system, and achieve optimal health. Research regarding the prevention of memory loss, heart disease, cancer, diabetes, arthritis, Parkinson’s disease, Alzheimer’s disease, and aging will be shared. ENTERING OUR GIVEAWAY COULDN’T BE EASIER! You just need to follow us on Twitter (@TeozoroLIVE) AND be subscribed to this blog! Blog: Enter your email in the right sidebar where it says “DON’T MISS ANY UPDATE!” and click on “Sign Me Up!”. Don’t worry your email is safe with us. We won’t share it with anyone! Make sure to follow us on Twitter as well as subscribe to our blog. Only if you do BOTH you’ll be entered in this and future giveaways. You only have a few days to enter for the chance to win “The Care and Feeding of a Dancer by Toni Branner” DVD. We’ll choose the 2 lucky winners this Saturday October 1st! Toni Tickel Branner, M.A. is an Exercise Physiologist, Professional Speaker, and Wellness Consultant. A former Professor at UNC-Chapel Hill Department of Exercise Science and Sports Medicine, Fitness Director: Mecklenburg Aquatic Club, Charlotte, North Carolina, she has been providing health-related seminars and workshops for children, adults & seniors for over 20 years. She is also the author of several books including Wilby’s Fitness Book for children, The Care and Feeding of a Dancer and The Care and Feeding of an Athlete. A former dancer and captain of UNC-Chapel Hill’s Tarheel cheerleading squad, Toni holds undergraduate degrees in Biology and Physical Education and received her Master’s Degree in Exercise Physiology from the University of North Carolina at Chapel Hill where she also served as director of the UNC Employee Health and Fitness center and as faculty member in the Department of Physical Education, Exercise, and Sports Science. Through 22 years of wellness classes for children, adults and seniors, as well as numerous speaking engagements, workshops and academic presentations, Toni has shown thousands of people the way to prevent disease, perform effective, injury-free fitness and achieve optimal health. She is a gifted teacher, passionate about making a difference in the health of families. Welcome our Complete Beginner Dance DVD Series! Start enjoying all our easy-to-follow Beginner Dance DVDs from Jazz Dance to Latin Dance, from Hip Hop to Street Funk and learn new warm-ups and across the floors as well as many different pieces of choreography. – Dance Teachers will find new and innovative information and ideas for teaching the basics of several dance techniques to kids or beginner adults. – Advanced dance students can use them to start learning a new dance style they may need for an audition or just to complete their preparation. While beginner students, who are already taking classes in one or more of these styles, may use our DVDs as a way to support their in-class learning. – Non-dancers who’d like to discover the beauty of dance and why not, burn some calories in the meanwhile. Yes, our beginner DVDs are also perfect for those who want to work out in a more fun and engaging way. – Moms (but also dads) who are looking for a way to have fun with their children doing something that will keep them active. Our DVDs are great to teach kids coordination and improve their sense of rhythm. Each DVD is broken down to its simplest form with engaging music and innovative backgrounds. You can always purchase these or any other Tezoro DVD individually. Just visit http://www.liveatbroadwaydancecenter.com and choose the ones you prefer. When buying our DVDs individually at their regular price, you can use danceCOUPON to get a 20% discount plus $10 Gift Certificate toward any streaming purchase! (This coupon cannot be used for the Complete Beginner DVD Series).